Looking for a Black Studio to hire in London UK? our South East London Film Studio (Hither Green / Lewisham), ideal for shooting TV Commercials, Content, Music Videos, Photography, and Corporate Films. Black stage hire London / Black Film Studio / Blackout Film Studio (no daylight option) pitch black. Convenient 13A power around studio walls. 13 Amp Sockets x 5 around studio walls. 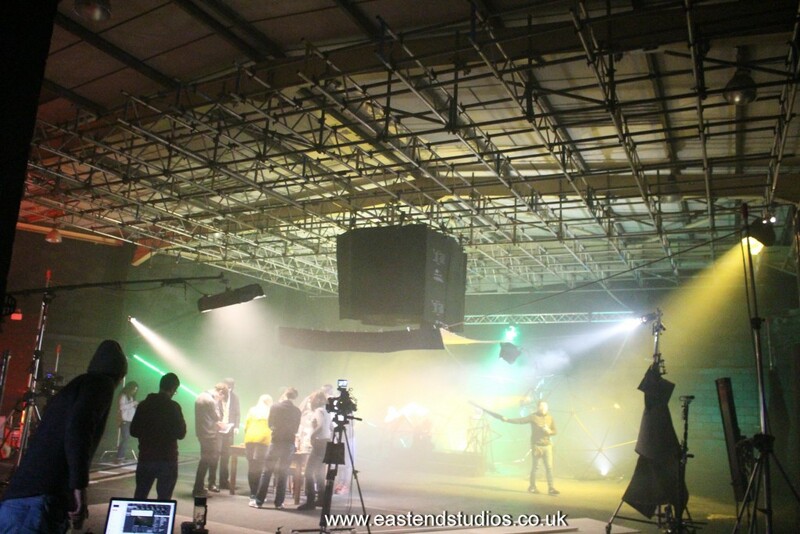 Our South East London Studios have be used as a Large Rehearsal Space, Fashion Show Space, Corporate Events, Commercials, Music Videos, Digital/Viral Feature Films, TV Series, Feature Films, Photography and so much more. For more information on the Film Studio or for a quick quote please call us on 07517 158 780. If your enquiry is technical or non-urgent please email studio@eastendstudios.co.uk and we will get back with in 24 hours.